I’M THRILLED TO ANNOUNCE THAT I’VE BEEN NOMINATED FOR MY FIRST BLOGGER AWARD! Thanks to the lovely Jeanette of Fit Girl Travels for nominating me for the Liebster Award – I’m extremely excited and thankful for your nomination! Jeanette is a inspiring wellness travel blogger who writes anything from the benefits of yoga and meditation to nutritional facts and her travels throughout the world. I love reading Jeanette’s blog and seeing what she’s up to throughout the week. 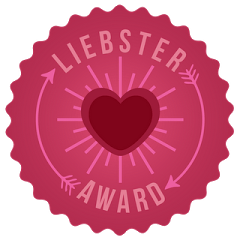 So you might be asking, “What the heck is a Liebster Award?” The first thing to point out is the root word “liebe”, meaning love in German. I actually have “liebe” tattooed on my rib cage, so it makes me love this award that much more! The award is for bloggers, by bloggers who want to show some love and recognition. So thank you so much, Jeanette! You’ve made my year and now I’m excited to pass on the love to other bloggers who inspire me and remind me of why I love being a part of this wonderful online community! 1. What is your favorite place you’ve ever visited? My favorite place I’ve ever visited would have to be Nicaragua. I’m currently living in Taiwan and absolutely love it, but there’s something about the latino culture that takes my hand to dance under the stars – it has my heart. Taiwan is beautiful and I love it, but I feel an unexplainable pull towards South America. My mother – hands down. There have been so many times in my life where I’ve needed someone to be there for me and she was always the one I could go to, no matter what. I don’t know how she put up with me in high school and some of college, but her determination to help me live out my dreams has been one that I will never forget. Her passionate, loving and caring soul is the most beautiful thing I’ve ever experienced. 3. Who’s the most inspiring person you follow on Instagram? I don’t have one person that I find inspiring, however, there are a lot of people that I follow who inspire me everyday with their photos, quotes and photo personality. 4. How did you come up with the name for your blog? I really wanted to come up with a name that people would remember and targeted women. I think that women have an unexplainable bond and can really learn from each other if given the chance. I love sharing stories and travel tips that help others with their own adventures. Also, I care deeply about helping people and want to show others that you can live the life you want to live, you just have to choose to do it. I hope that my blog inspires my readers and helps them take the next step to following their dreams! 5. If you had to cast an actress to play you in a movie, who would you pick? Angelina Jolie – she’s such an inspiration and badass! 7. What is your favorite motivational quote or mantra? 8. What is one thing in your life that you’re really excited about right now? As of right now my boyfriend and I are planning a trip through SE Asia! Our plan is to make our way to Vietnam, Malaysia, Thailand, and Cambodia. I’ve been wanting to do this for a long time and now our plans are in the works. Super stoked! 9. What’s your favorite magazine? If I’m being super girly, Cosmopolitan. If I want to read some cool travel stories and see some epic pictures, National Geographic. Yeah.. I’d say those. 10. What’s your favorite indulgence? Shopping – If I had all the money in the world, I would just go buy a lot of stuff for myself, friends and family. Probably even take a good portion of that money to buy stuff for children in need. I really love to make people happy. 11. If the sky’s the limit, what would you like to do next? Create world peace – but seriously. O The Places You Go! 2. If you could live anywhere in the world, where would you go? 4. If you could learn one new talent instantly, what would it be? 5. What’s been your biggest challenge while traveling and how did you overcome it? 8. If you could be a part of a humanitarian, environmental, or animal help nonprofit, which would it be and why? 9. Where do I absolutely have to go and what do I have to do when I get there? 10. Has there been a place you visited that you were disappointed with? Where and why? 11. What’s your biggest dream? What plan do you have to help make this world a better place? 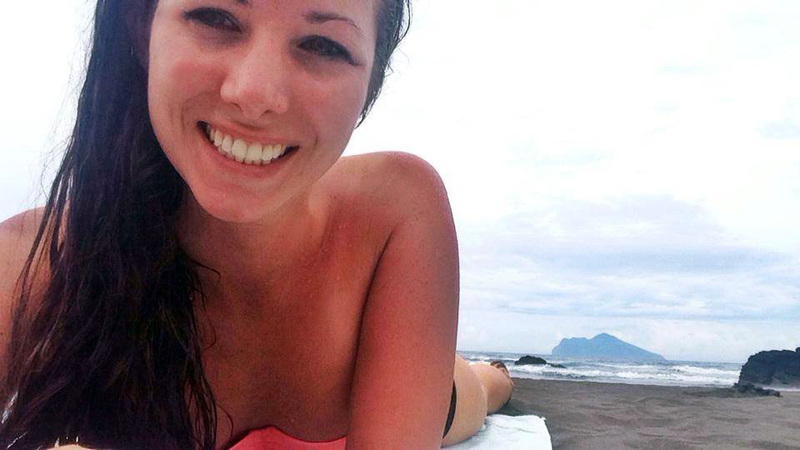 So excited to follow your Southeast Asia trip! 🙂 I love reading Cosmo too. It’s my favorite magazine! <3 Thanks for the nomination & Happy Travels!! I really enjoy your blog and am so excited to see that you’re living in Taiwan! My SE Asia trip is currently in the works, so I’ll let you know how it’s coming along when we make a date to have some tea! (: Enjoy your travels! have always loved reading your blog, wish you continued success along all the ladders of professional and personal life. Thanks TG! Back at you!